Last month, my family and I celebrated my Grandparents' Diamond wedding anniversary. That's SIXTY years people. SIXTY! To celebrate, we held a tea dance, and I was privileged enough to be asked to bake some surprise cupcakes for the happy couple! The celebration was really a double one, as I has just gotten engaged about 2 weeks before! So the diamonds were particularly apt! 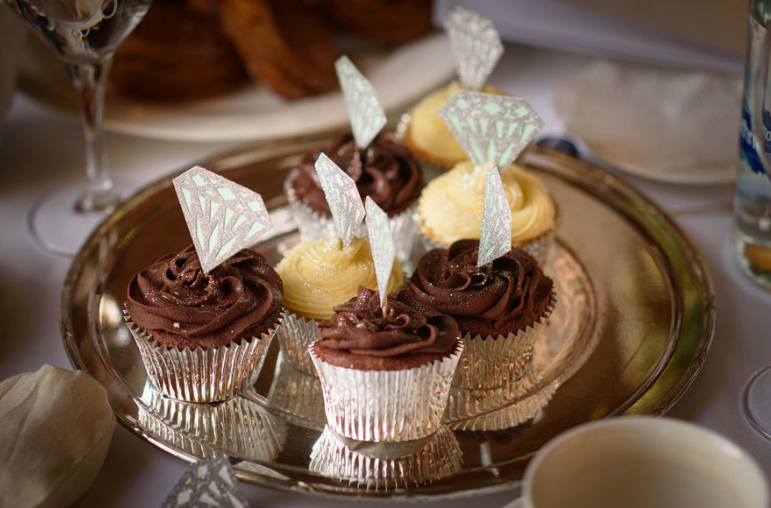 I made chocolate and vanilla cupcakes, in silver foil cases, and dusted with silver glitter. Congrats to the happy couple, I just hope my fiancé and I make it that long!